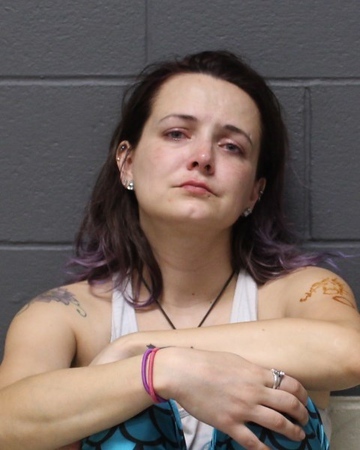 SOUTHINGTON - A local woman, charged with driving under the influence with an teenager in the vehicle, has applied for a program that could spare her prosecution. Jenessa Ives, 33, filed an application for the Alcohol Education Program during a hearing Tuesday, in Bristol Superior Court. She faces charges of operating under the influence and risk of injury to a minor. Ives, who is free without having had to post bail, is due back in court on Nov. 13, when she could be granted the program for as long as two years. The program would include between 10-15 counseling sessions in alcohol intervention. Successful completion would result in the charges being dropped. According to police, officers were called on July 3 about a vehicle driving erratically by a driver who appeared to be under the influence. Investigators then located Ives and found that she was intoxicated, police said. Police said Ives had a 15-year-old, who has not been identified, in the vehicle at the time of the allegations. Posted in New Britain Herald, Southington Herald on Tuesday, 16 October 2018 16:55. Updated: Tuesday, 16 October 2018 16:57.